I released my first book back in 2013 and it became so popular that I decided to publish it in paperback in 2016. 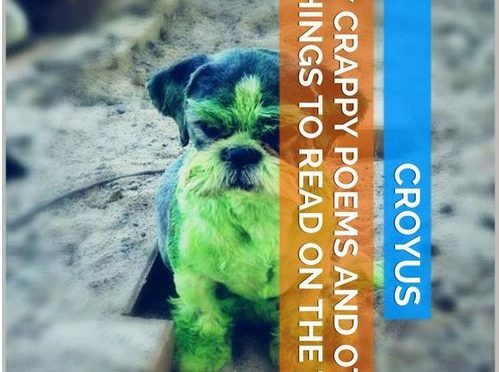 Five years of some of the best poetry about poop you have ever read! So, I decided that for this Christmas I would go thru my library and add appropriate updates. I’m currently working thru the Collector series but am happy to say my poetry has held up to the test of time. In other words, I’ve tweaked very little and have reposted it out on Amazon. Not only is this the best book on the subject that you will ever read, but it also makes an awesome stocking stuffer! It’s not a gag gift. It is THE gag gift! Get your’s today before we run out of paper! Click here to get it in Paperback or Kindle!